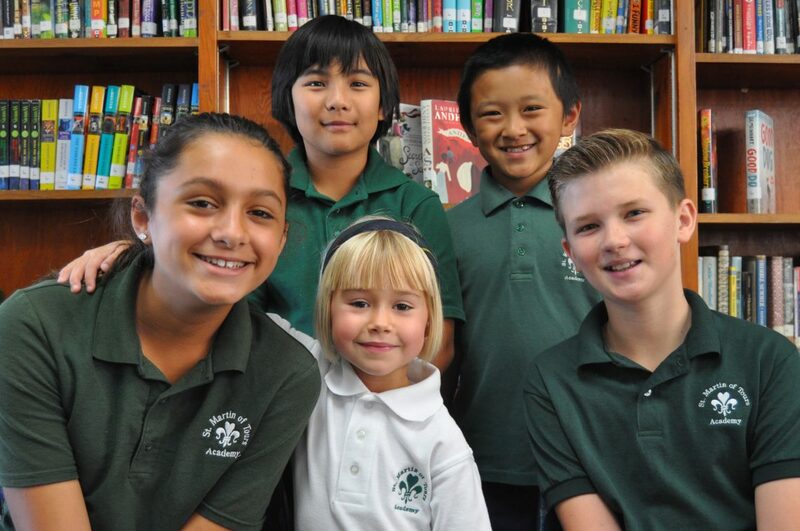 St. Martin of Tours Academy’s mission to prepare students to become engaged citizens of the world is made possible through the support of people like you. Since our school’s founding in 1951, there has been something very special about St. Martin of Tours Academy graduates and their contributions to our community. Today’s students share in the same rich traditions unique to SMA that will prepare them for a meaningful life filled with opportunity and a sense of commitment to our world. Our Academy faces great challenges in continuing this legacy when tuition alone does not cover the cost to educate a student. We need to establish a new means to bridge this gap. The Fund for St. Martin of Tours Academy will make an immediate and positive impact on the lives of our students and will ensure our institutional success. Your gift to The Fund will strengthen SMA’s academic programs by investing in necessary resources and materials to support a rigorous and high-quality Catholic education, including access to advanced technological updates and enrichment curriculum. The Fund is vital in attracting and retaining highly qualified teachers and staff. Additionally, The Fund will ensure critical campus upgrades and revitalizations. Strong and consistent contribution from our alumni, friends, academy parents and staff, along with our broader SMA community is essential in helping us close the gap. Thanks to your support, St. Martin of Tours Academy students will continue to thrive and grow into confident young adults eager to make a positive difference in our community. Your gift will provide invaluable resources beyond tuition that keep SMA viable and strong, and will have a lasting impact, forming a stronger alumni network and a remarkable legacy. Every gift to The Fund for St. Martin of Tours Academy is meaningful and significant. Thank you for supporting Catholic education.